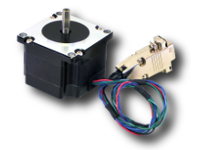 The SilverMax XT-Series is QuickSilver Controls' lower-cost fully integrated Hybrid Servo Motor with feedback, a Controller/Indexer, and a Digital Driver in a compact package. 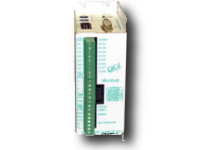 All communications, I/O, and power are accessed through pluggable screw terminal blocks. 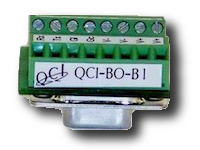 The I/O interface includes 7 I/O, all of which support both LVTTL and analog signals, and one of which also supports 0 to 10v analog input. 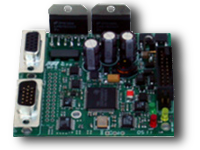 A hardware drive enable input is standard and a drive enable source is also included. 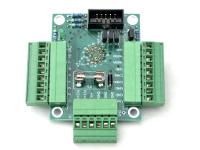 Communication via CANopen and RS-485 serial, which may be operated simultaneously. 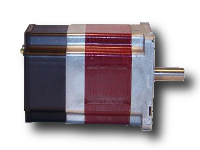 The driver is rated to 6A continuous per phase. 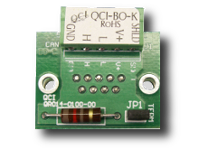 The system is designed for use at +12.5 to +48 VDC. 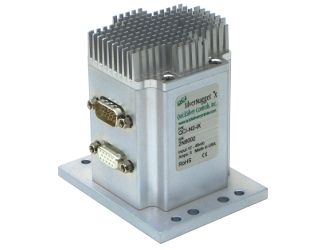 Connectors are included. 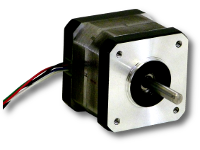 The SilverMax™ is a fully integrated Hybrid Servo Motor with feedback, a Controller/Indexer, and a Digital Driver in a compact package. 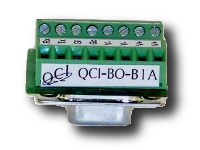 All communications and IO are accessed through a single 19 pin M16 connector. 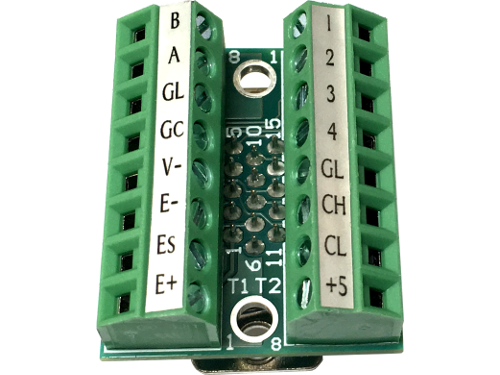 Power and external Clamp resistor are available through a 6 pin M23 connector. 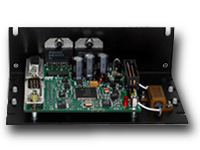 The interface includes 7 I/O, all of which support both LVTTL and analog signals, and one of which also supports 0 to 10v analog input. 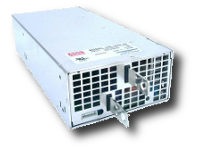 A processor back-up power input and a hardware drive enable are also included. 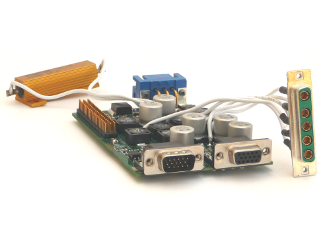 Communication via CANopen and RS-485 serial, which may be operated simultaneously. 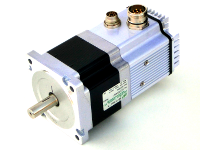 The driver is rated to 20A continuous per phase. 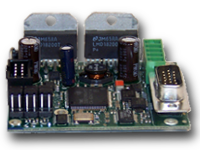 The system is designed for use at +12 to +72 VDC for driver power and 12-48v for processor power. 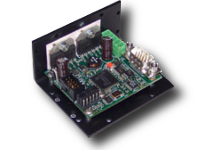 The SilverSterling S2-IG is an OEM servo controller/driver for QuickSilver Controls’ line of I-Grade NEMA 11, 17, 23, and 24 frame, but is also designed to drive 3rd party DC brushed and voice coil motors. 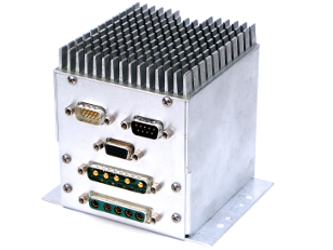 The SilverSterling features a 15 pin interface connector, SilverSterling Interface Port (SIP), including 4 I/O, CAN , RS-485, and system power input (12 to 48v). 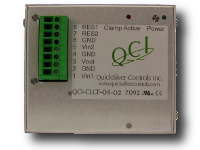 The SilverDust D2-MG is QuickSilver Controls’ smallest servo controller. 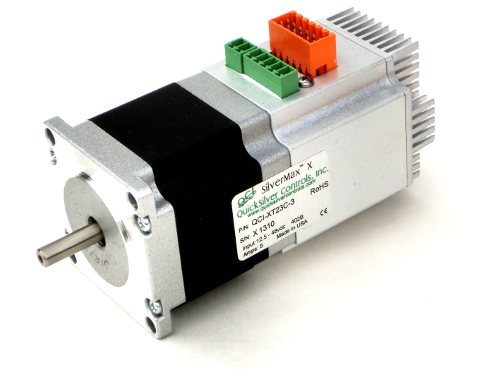 The SilverDust D2-MG is specifically designed to drive 100 poles, 1.8° step motors. 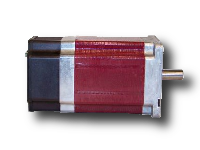 To best utilize the capabilities of the D2-MG, select a motor that has been optimized for micro stepping. 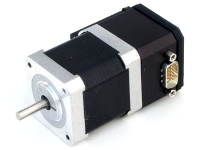 Its open frame design and motor winding breakout is ideal for OEMs driving a 3rd party stepper motors in either open loop (no encoder) or closed loop. 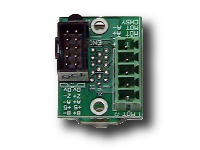 The D2-MG comes standard with an SMI port, including 7 TTL IO, RS-232/RS-485, and system power input. 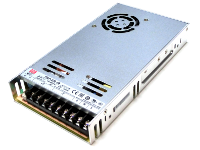 Power, communications, and I/O are accessed through a single DB15 high density interface connector. 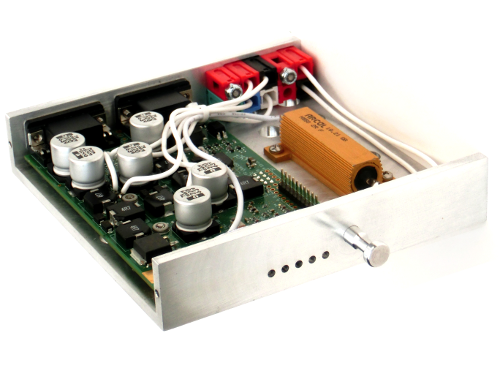 The interface includes 7 I/O, all of which support both LVTTL and analog signals, and one of which also supports 0 to 10v analog. 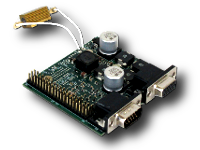 A hardware drive enable is available as a factory option. 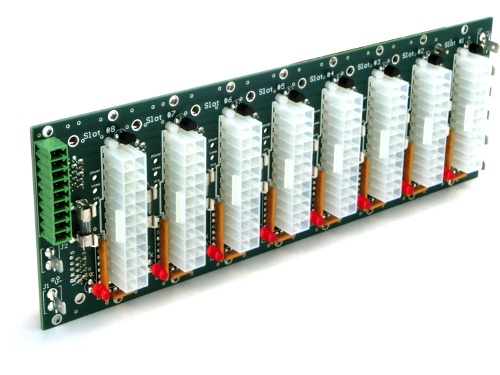 All 7 I/O also have soft configurable pull-up/pull-down resistors, which may also be disabled, for more flexibility. 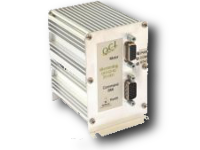 The SilverNugget™ N3-IX is a servo motor controller/driver designed to operate QCI’s line of NEMA 34 frame I-Grade, high torque, direct drive, hybrid servo motors through two motor interface cables, motor power and encoder feedback. 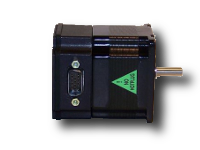 The N3-IX includes a Controller/Indexer, Digital Driver, and Active Power Clamp with internal clamp resistor. 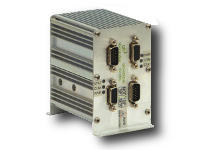 Serial communications and IO, as well as processor power are accessed through a High Density DB15 connector (SMI). 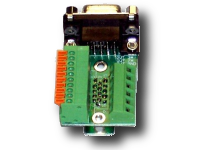 CANopen is available on a separate DB 9 connector. 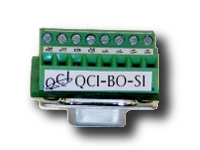 Power and external clamp resistor are available through a 5 pin 5W5 connector. 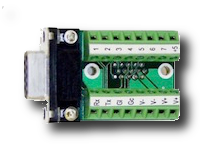 The 15 pin SMI interface includes 7 I/O, all of which support both LVTTL and analog signals, and one of which also supports 0 to 10v analog input. 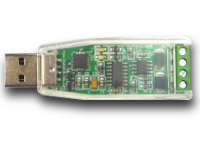 A hardware drive enable are also included. 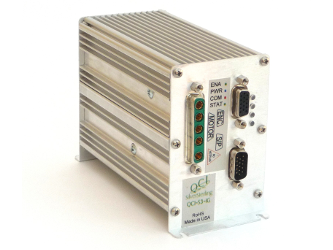 Communication is available via CANopen and RS-485 serial, which may be operated simultaneously. 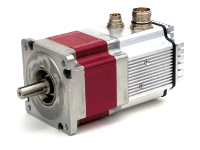 The NEMA 17 motor produces up to 57 oz-in of torque. 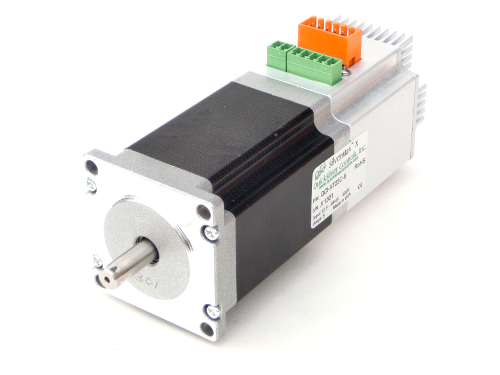 The motor includes encoder feedback with a resolution of 8000 counts/revolution. 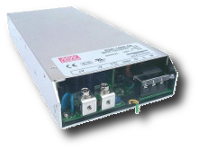 Available in IP50 and IP65. 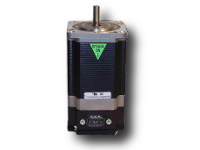 The NEMA 23 motor produces up to 240 oz-in of torque. 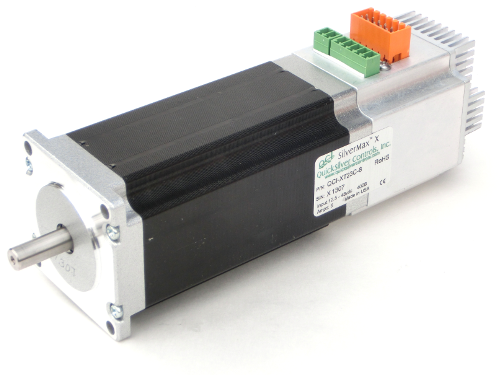 The motor includes encoder feedback with a resolution of 8000 counts/revolution. 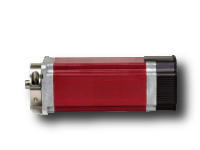 Available in IP50 and IP65. 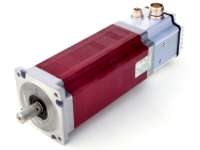 The NEMA 34 motor is the largest frame motor we offer. 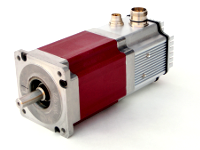 Several motor stack sizes are available with torque output up to 3200 oz-in. 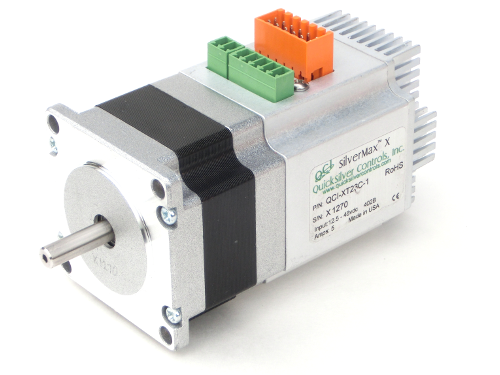 The motor includes encoder feedback with a resolution of 16,000 counts/revolution. 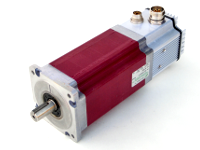 All motors availble in IP50, most motor sizes are available in IP65. 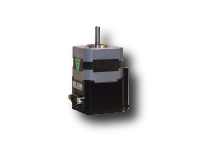 The Mosolver is an innovative servo motion actuator which infuses a position feedback sensor into the very structure of a high pole count AC motor. 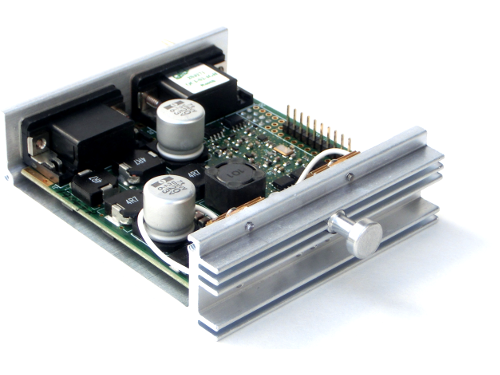 This eliminates the need for costly encoder and resolvers. 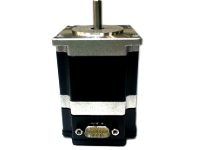 By combining the motor and resolver into a single package, the Mosolver enables a compact, inexpensive and robust closed-loop motion control. 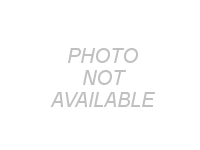 Visit the Mosolver website for more information. 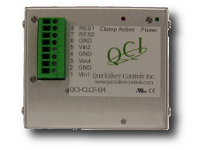 QuickSilver Controls offers a USB to RS-485 communications adapter. 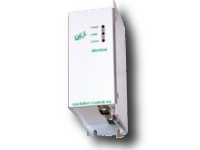 Refer to technical document QCI-TD053 Serial Communications for more information on our communication protocol.